Nominations recognising outstanding firms and in-house legal teams, leading individuals and landmark deals are open now across 26 award categories. 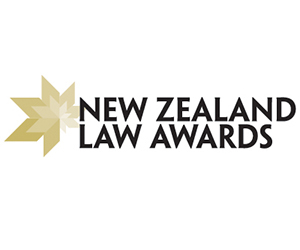 Winning a New Zealand Law Award is a respected accolade; we encourage you to get involved by nominating yourself, your team or firm, or by putting forward your top deals for consideration. In response to industry feedback, a new award for Mid-market deal of the year has been added this year, recognising the most significant transactions with a value under USD100m. Click here to find out more about the categories and how to nominate. The selection of this year’s finalists will be determined by comprehensive industry research into the nominations. Winners will be announced at a black-tie event on Thursday 19 November at the Pullman Hotel Auckland. Nominations close Monday 20 July. For more information visit www.lawawards.co.nz.